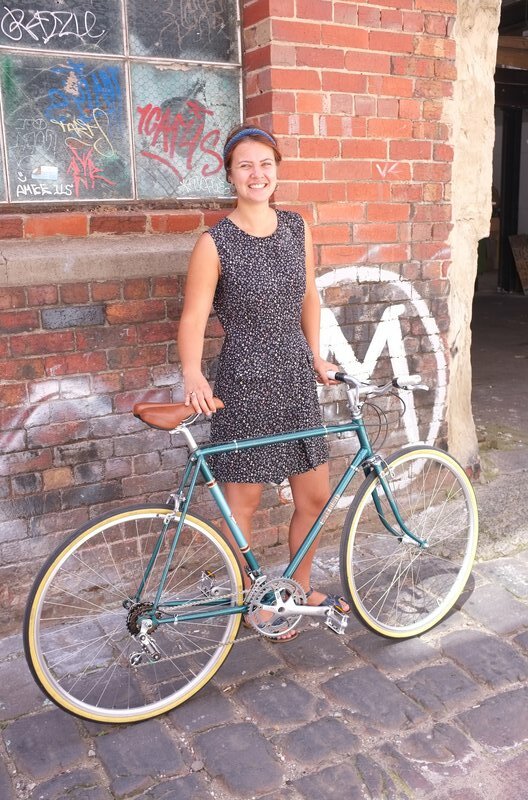 2015 is turning into a big year for Mottainai Cycles, we’re having more interest in our restored bikes and custom builds than ever before – the resurgence of steel is well and truly upon us as people realise it’s both more comfortable and durable than materials like aluminium (not to mention far more beautiful, too)! 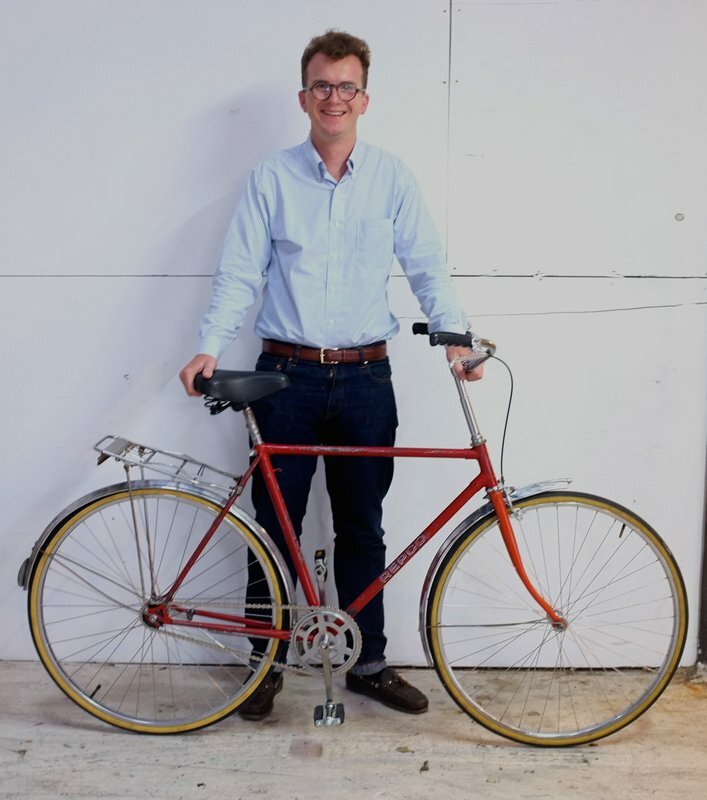 Also, the idea of recycling and restoring a well-made vintage bicycle rather than buying a cheap, poorly made ‘landfill bike’ is really taking off. They don’t make ’em like they used to, as they say! 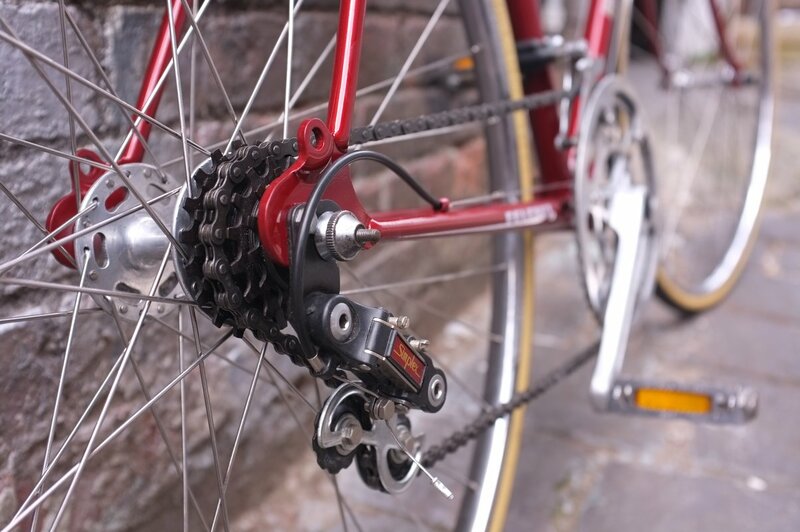 We’ve also further expanded our range of components and accessories. 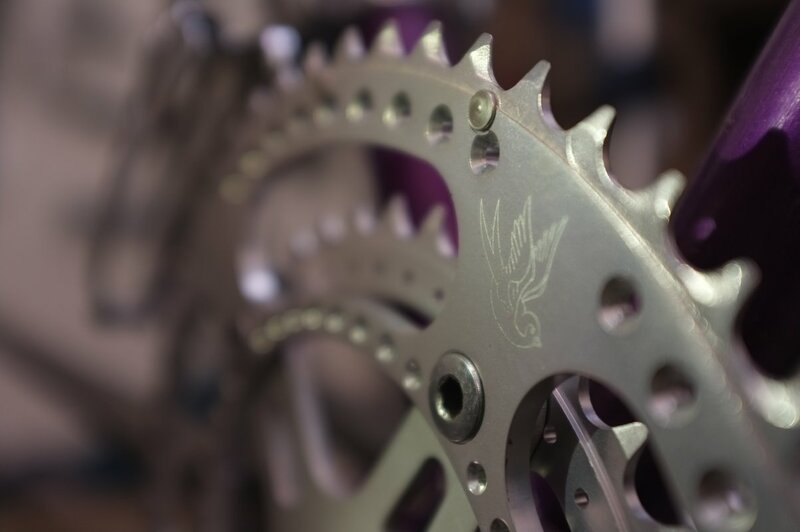 We now offer PRO saddles, full Shimano build kits for custom bikes, Schwalbe tyres and the fantastic locally-made Bespoke Chainrings. 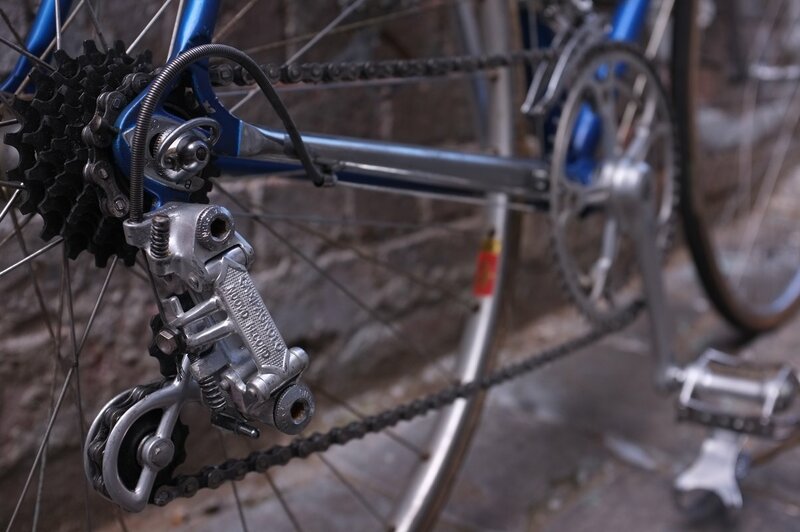 Coming soon we have Campagnolo, San Marco saddles, Brooks saddles and more – watch this space! 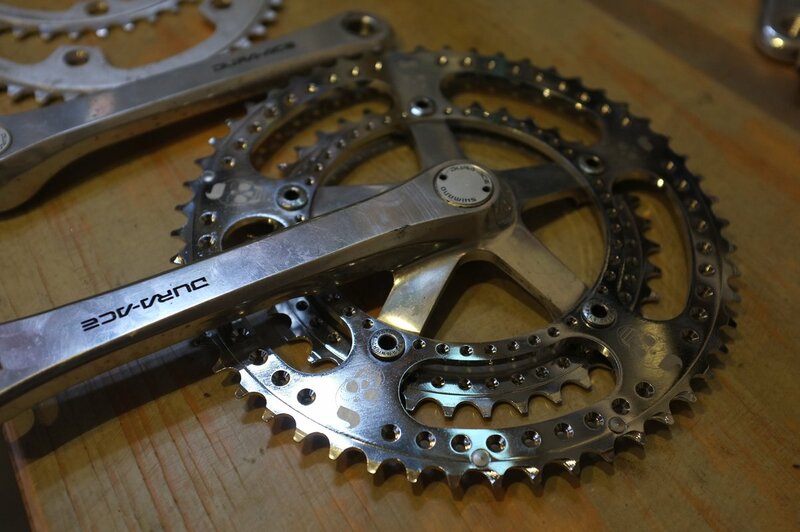 Of course, we still have a large range of vintage and NOS components and groupsets from the likes of Campagnolo, Shimano, Suntour and more. A recent arrival at Mottainai. Words can’t express…. Such attention to detail. 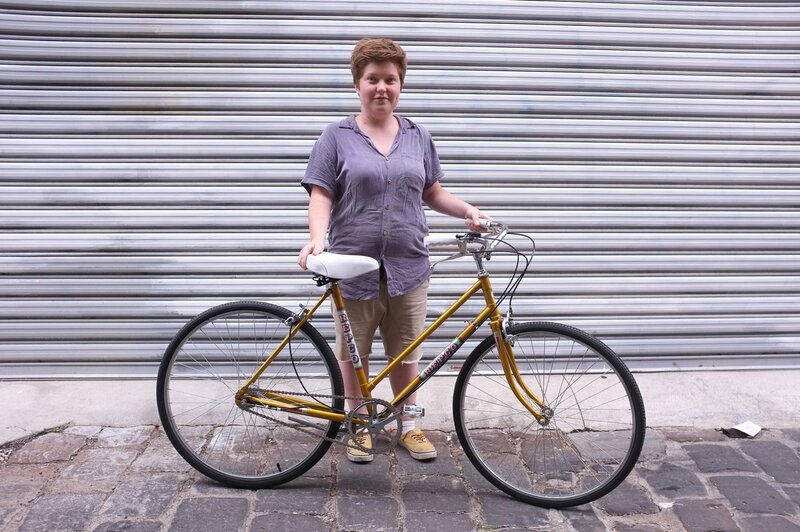 This will be a cracking bike once restored! 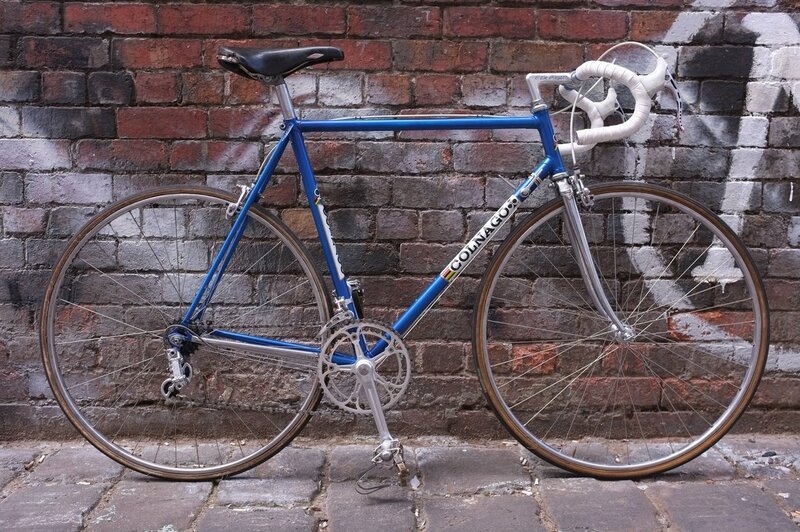 Another new arrival, a lovely 531 Gazelle. It’s a much in demand small size, too. 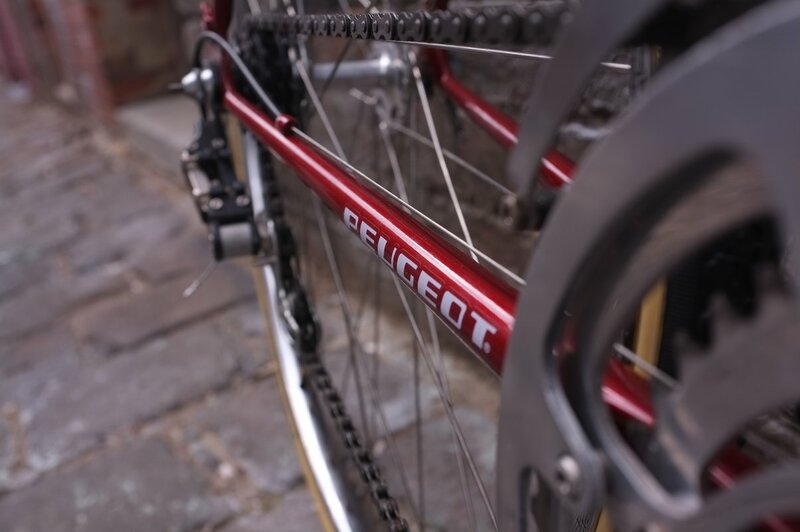 Early 1980s Peugeot restoration. New Paint job and decals. 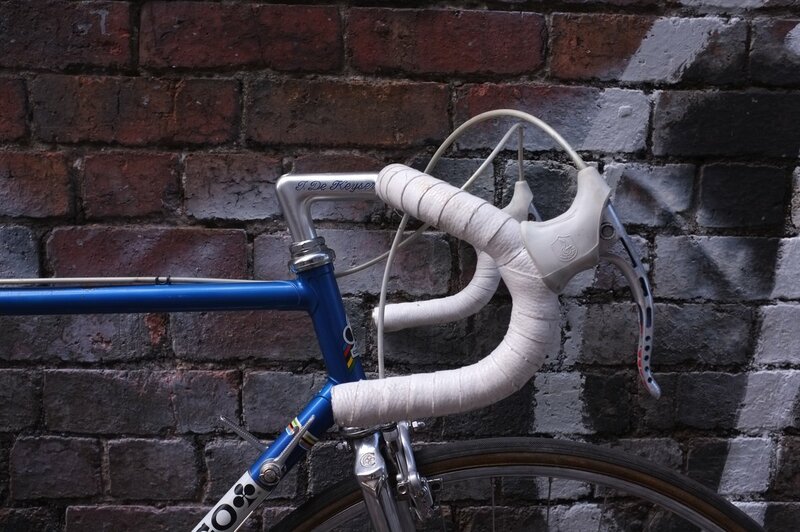 Mafac Racer brakes and Schwalbe tyres. 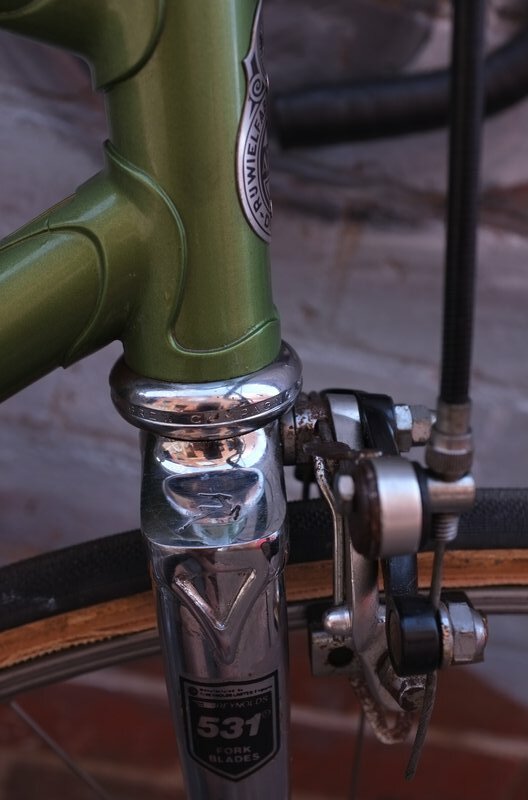 Check out that minty headbadge, too! 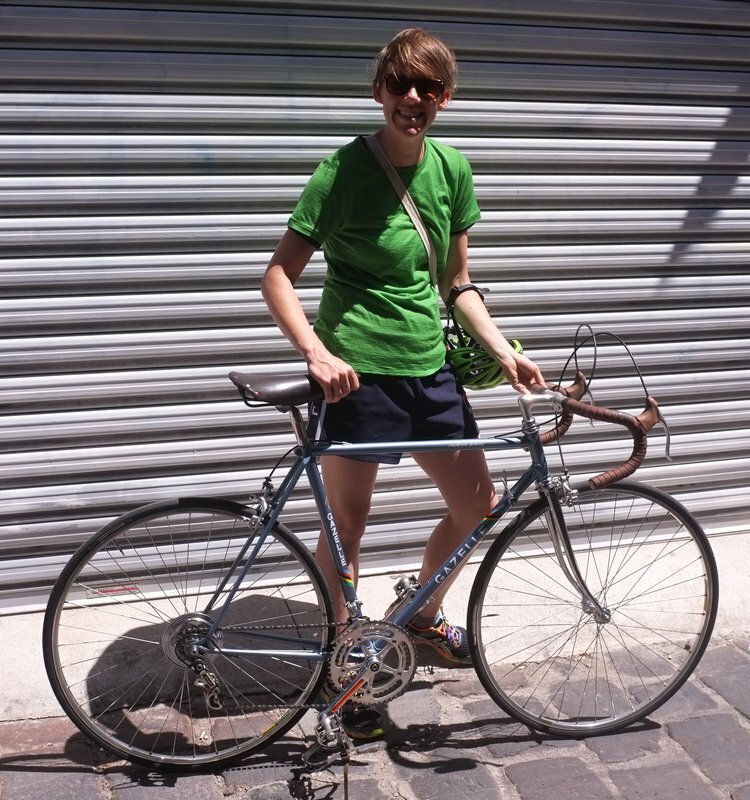 Full Simplex shifting, Maillard freewheel on a Normandy hub, Stronglisht TS cranks. 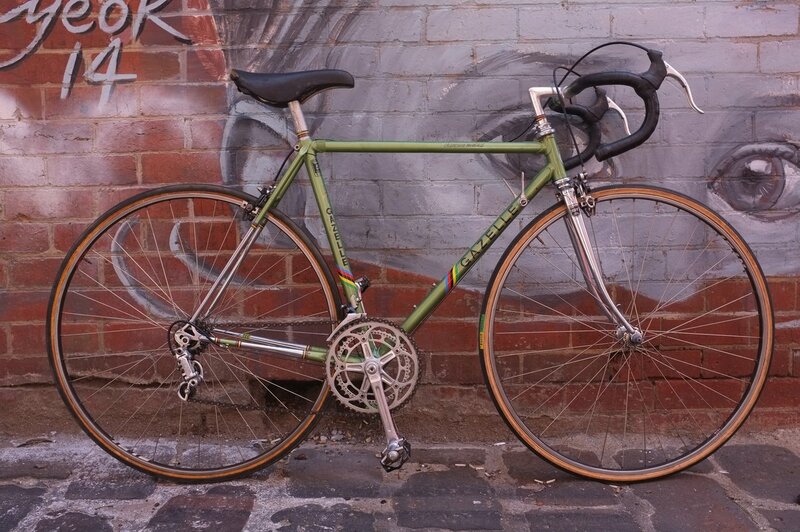 Here’s another 80s Peugeot, restored to order and now flying round Melbourne’s inner North! 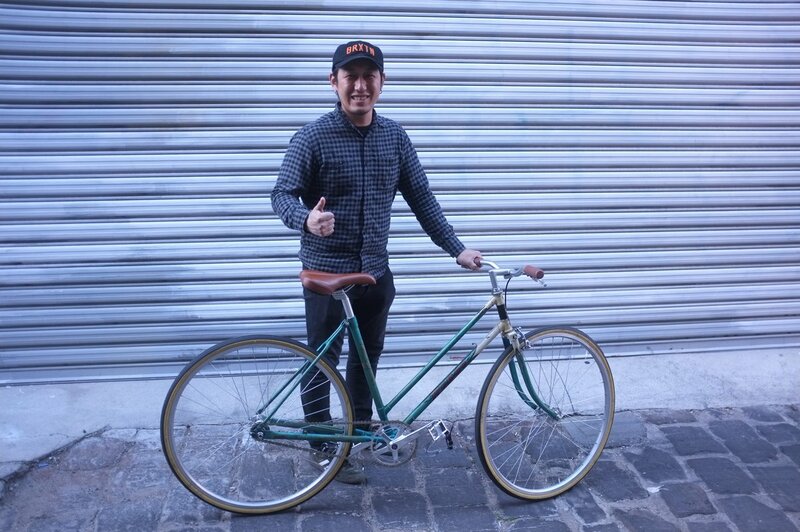 Beautiful Bates single-speed conversion. Definitely one to impress your mates with! 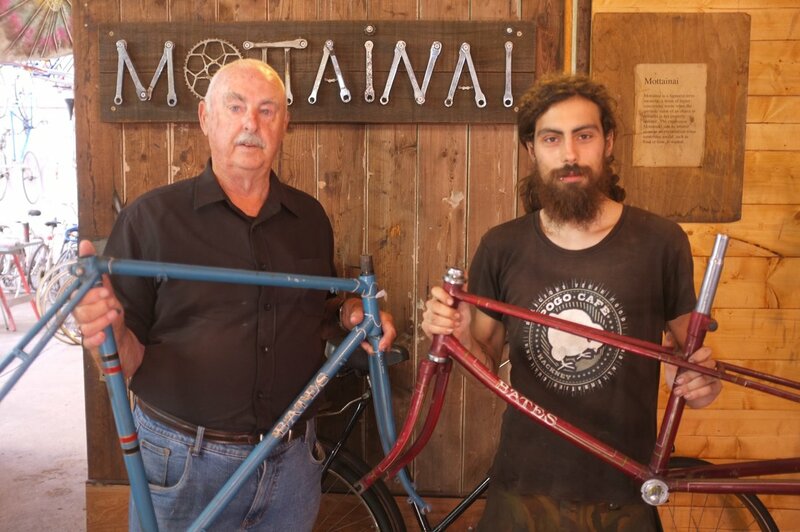 Another Mottainai custom single-speed ready to roll! 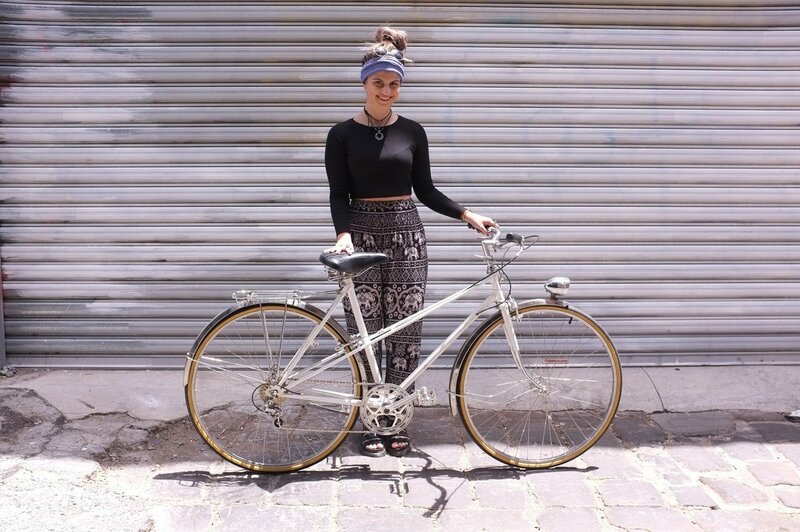 Here at Mottainai cycles we love vintage steel bicycles. 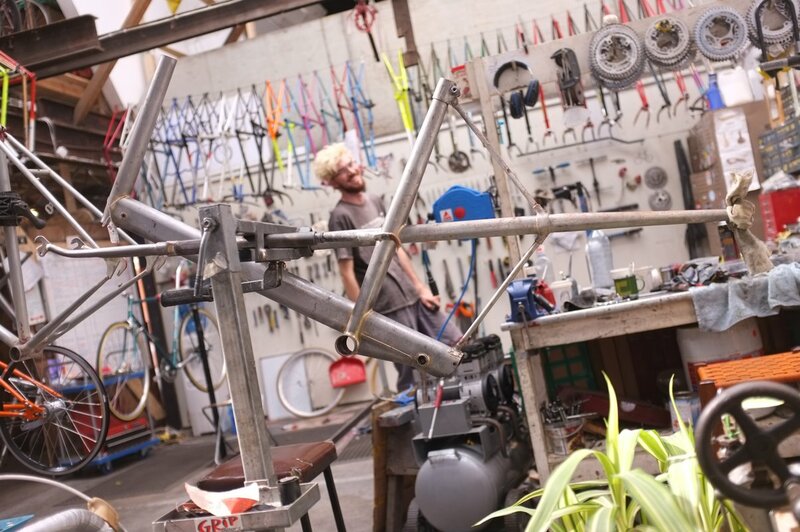 Whether it be a high-end race bike, a bomb-proof hub-geared commuter, a small-wheel runabout (Moulton!) or anything in between it’ll get the care and attention it deserves! 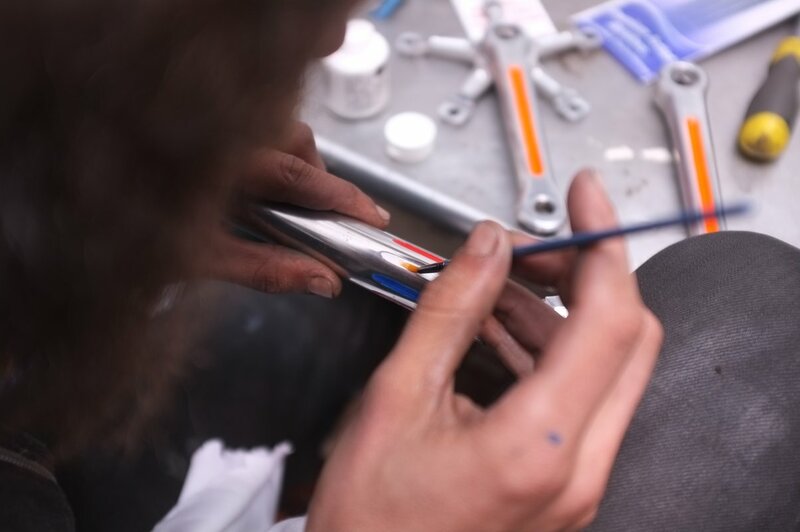 We specialise in vintage restorations but we can also service and repair any bikes as well as offering bike hire, paintjobs, parts and accessories. 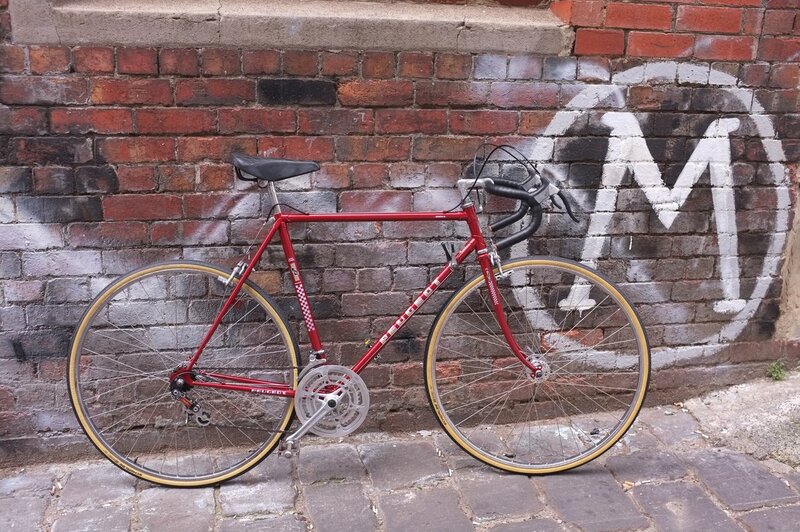 Here’s a lovely 1950s hand-painted Repco built up fixed-gear. 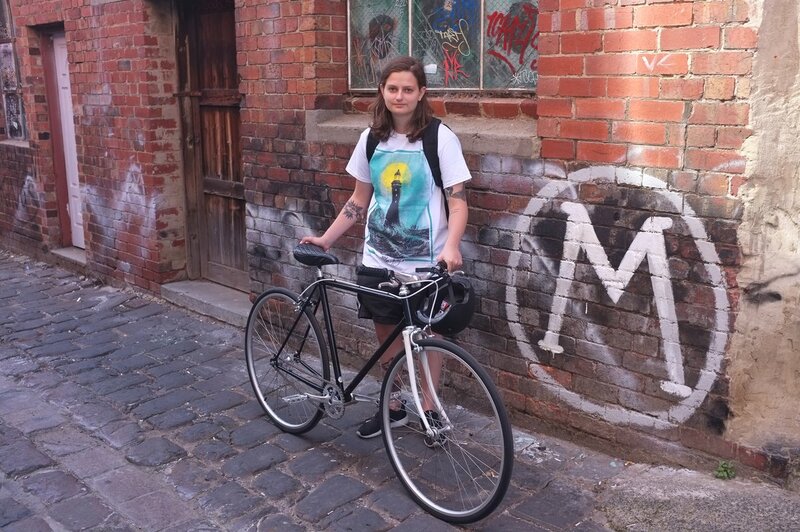 It’s heaps of fun! 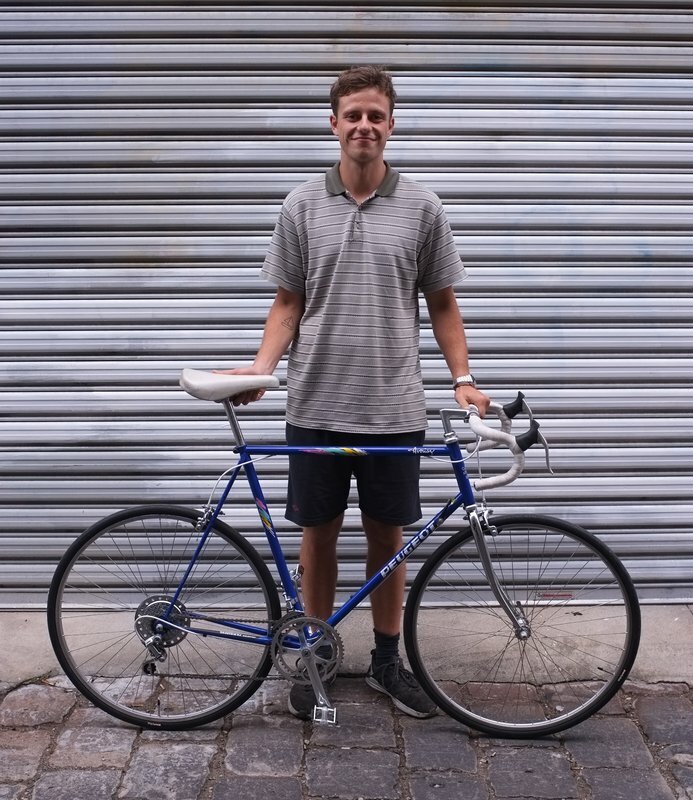 Simple yet stylish single-speed build, the rear coaster brake is still going strong even in the era of disc brakes. They certainly don’t make ’em like they used to! 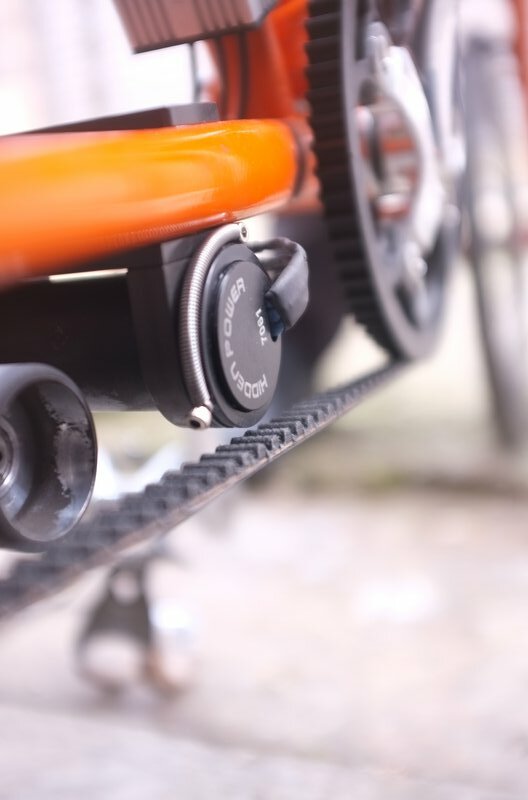 Close up of the Moulton ebike conversion. Pretty smart looking and very well functioning, and it had to be to convince us! 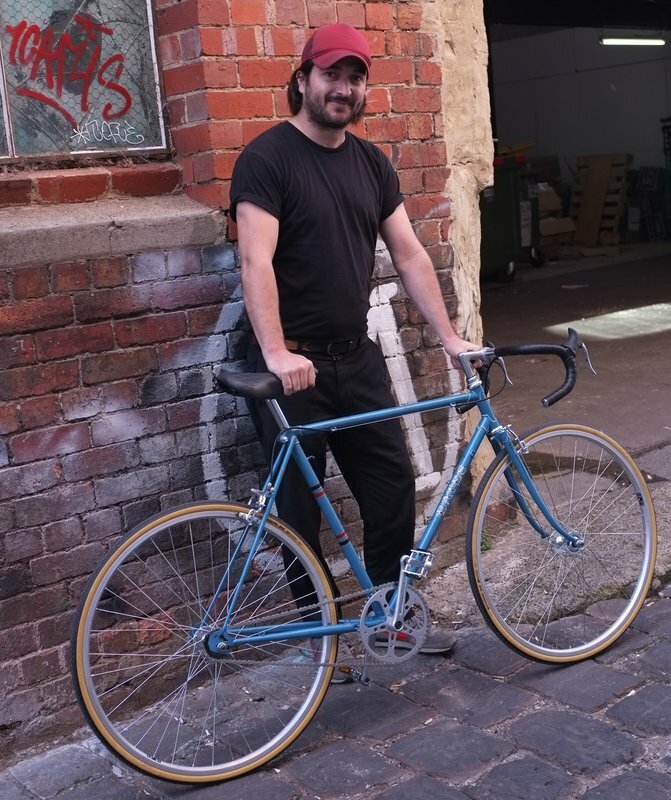 Custom leather bar tape for the Gazelle build… And a special mention to Dan’s beard! 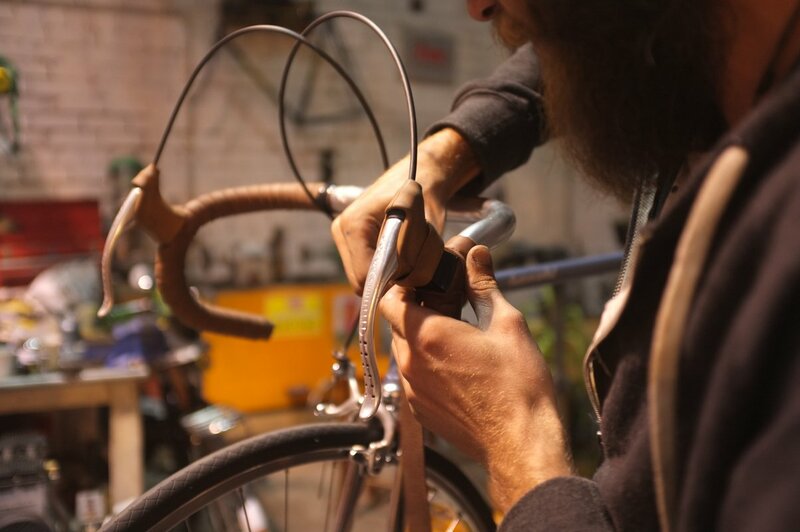 Bike mechanics can still have nails! 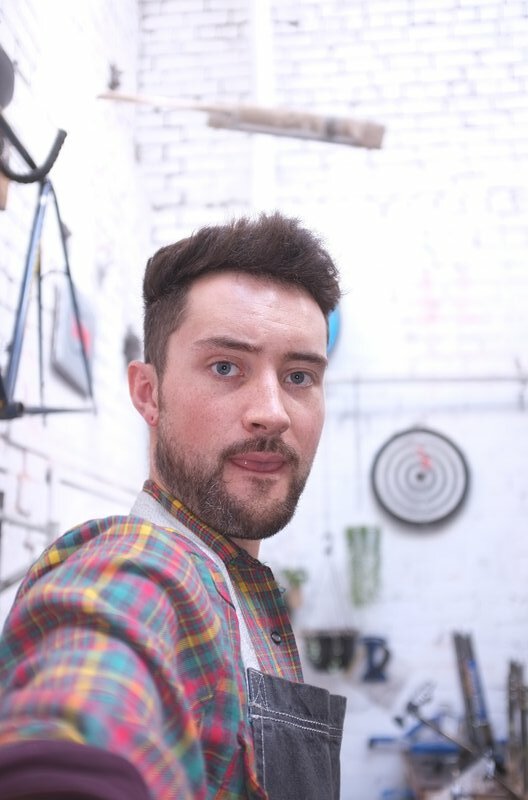 Can’t beat a good selfie…. Thanks Jimmyjams! 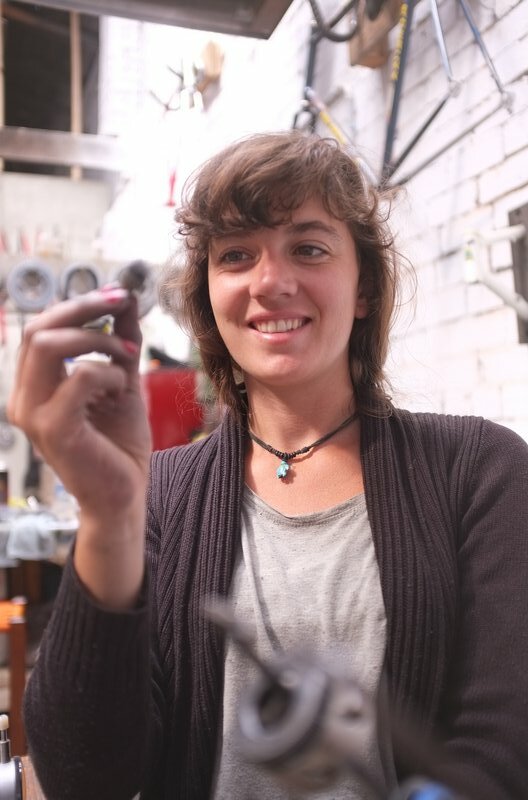 Our new(ish) mechanic, Coralie, giving away one of our secrets: steel wool. Don’t tell anyone! 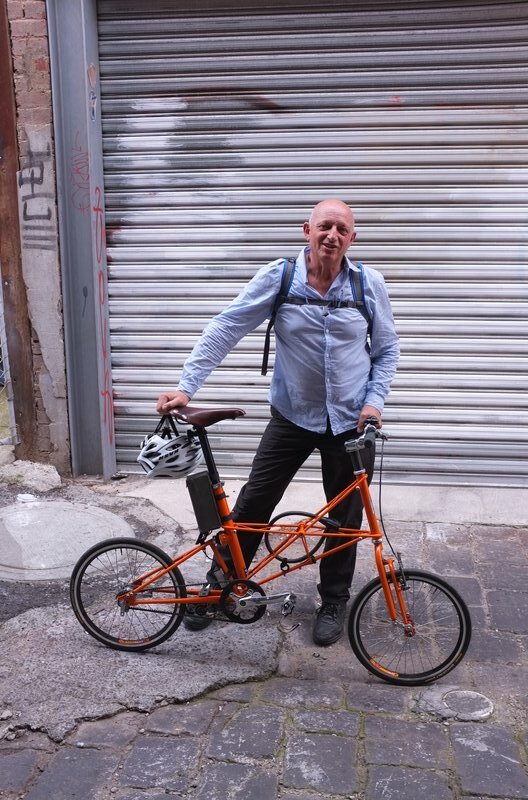 Seireadan photobombing a Moulton magnificently! 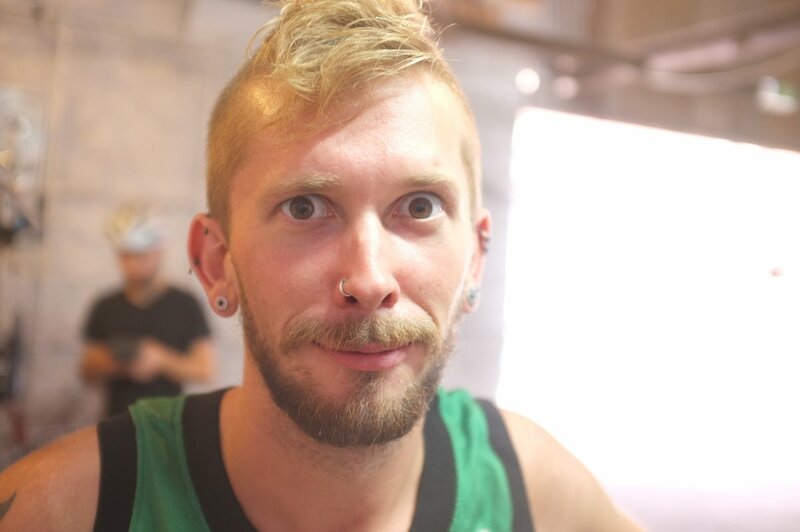 One of our new mechanics, Ryan, fitting in very well with the Mottainai vibe as you can see! 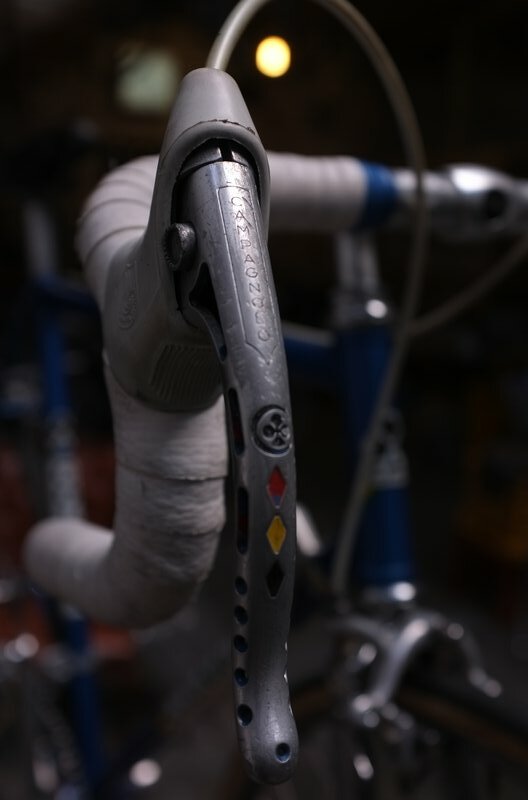 An oft mentioned name in vintage bike circles, Kenn Dickie came to visit the other day, here’s a couple of frames he painted. 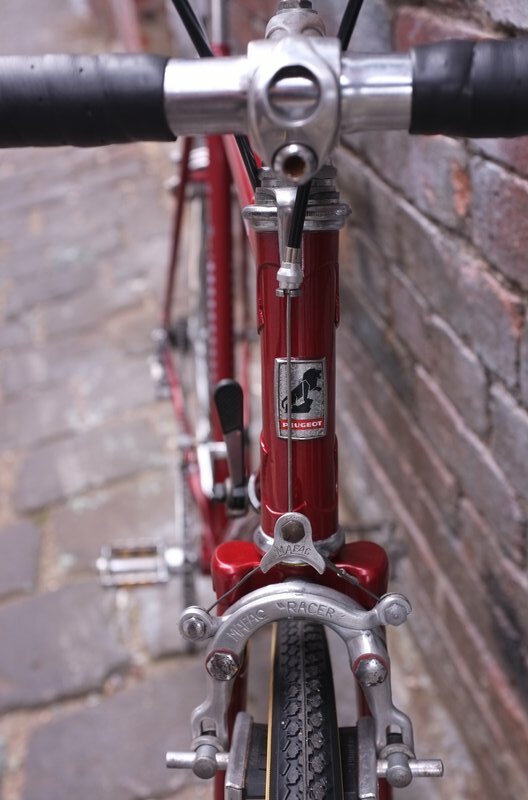 Such fantastic work – one of the reasons why we love vintage bikes so much. Thanks for visiting, Kenn! 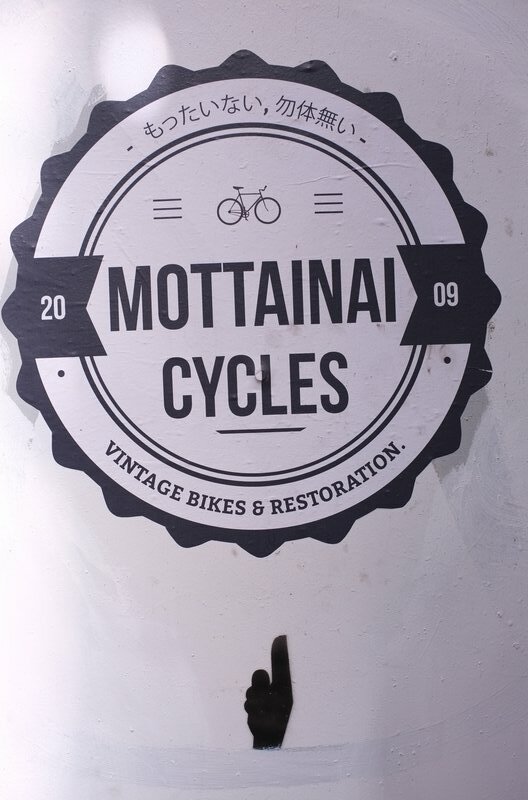 At Mottainai Cycles we specialise in restoring vintage bikes as well as offering fast, friendly services and repairs (of all bikes), bike hire and a range of parts and accessories including Bespoke Chainrings, Shimano, Sturmey Archer and more.